If you’re ever travelling abroad, please pack clean underwear. Know-it-alls will tell you to never lose sight of your passport or to keep your return tickets nearby, but this is the single most important advice you’ll hear from anyone. The last thing you want is a uniformed stranger disapprovingly rummaging through your soiled undergarments while the passing masses judge you on their way out. In case any of that was confusing, let me summarise: pack clean underwear! Very important. Even more important, though, never bring Royco cubes into the United States. Royco and Ujimix. I mostly fly cattle class, with all the crying babies, smelly- mouthed seat neighbours, and food so bad no self-respecting pig would eat it. This is not to complain, because I suffer from an acute form of wanderlust that I don’t even need a fully formed excuse before jumping into a plane and heading somewhere cold and much too expensive for me. I had a moderately complicated flight routing last week: Nairobi—Amsterdam—San Francisco—Minneapolis—London—Amsterdam —Nairobi. I was heading to Silicon Valley to watch former Apple CEO John Sculley launch his new baby, the Obi worldphone, and then head to London to co-host Kenya In the Park, an outdoor celebration of our culture in the British capital. I happened to be travelling in the upper deck for once, so was among the first people out of the plane in San Francisco. I may have come from a small village in Siaya and didn’t even get on a plane until I was 20, but I know how to fake being posh when I end up in the business cabin. So I didn’t take to it kindly when the customs officer asked me to proceed to Counter 2 so his colleague could “process” me further. A humourless African American gentleman in his late 20s called Long took my bags and proceeded to unpack them. He didn’t ask for my permission, just started removing stuff and putting them aside. I only remembered that I had three one-kilogramme bags of Ujimix for some friends in London when he got to them. “Why don’t you just mail it to them?” he asked after I had explained what they were. “You have much to learn about us Africans,” was the appropriate answer. “We’ll tie and lead a live goat through international airports and into America if we could.” But I just kept quiet because he still had my landing card and could send me back. It is then that he discovered I had several sachets of Royco cubes — the star that lifts every Kenyan meal from the bland category. He put them aside as well as he asked me questions that suggested he wouldn’t stop until he had my DNA samples. He left me standing there while he went to channel his inner Walter White with my flour and seasoning. “Is this a random search or have I been flagged for something?” I asked his colleague. “It’s totally random for compliance issues,” he assured me. Except it wasn’t, because I was the first black person out of the plane and only one to be stopped. Just like I had been “randomly” selected for a secondary search at Amsterdam 12 hours prior to this episode. Meanwhile, Long had broken into my Ujimix and Royco and was testing them for heroin, marijuana and opium. “I just want to make sure that they are what you say they are,” he said with the seriousness of a mortician. His little Chemistry experiment complete, he plastered the broken ends of my gifts with the world’s most conspicuous blue tape and handed them back to me. If you think the walk of shame on the morning after a one night stand is repulsive, there’s nothing worse than repacking your bags in full view of half of India entering San Francisco. My only consolation is that it was still better than being taken into custody for being a drug dealer. 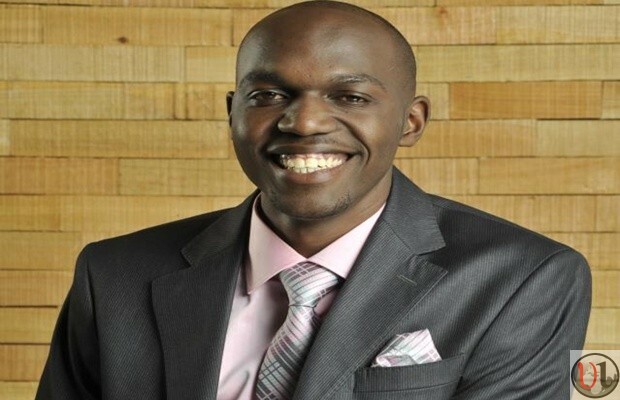 “Larry Madowo arrested in America with drugs” isn’t a headline that I want to see. A young black male travelling internationally always raises eyebrows and you get racially profiled in our post-911 world. Travelling while black is to accept indignity, racism and delays because of the colour of your skin, even in a post-Obama world. Those of us village boys who grew up dreaming of faraway cities and now have opportunities to visit are resigned to that ugly downside to it all. Sometimes you’re temporarily suspected of being an international smuggler or a drug dealer. It is all worth it when the Ujimix and Royco cubes make their way to the UK and to grateful hands.